Select SIZE Mens 14 / 30" Mens 20 / 35" Mens 22 / 36"
Out with the all black! A modern, hip guy like you needs a fresh look that is unlike anything else out there. With a bold charcoal background under a cool colour panel of slate, pewter, and foggy grey distressed print, the Finz Black Out Men’s Grunge Racer Trunk is as stylish as they come. 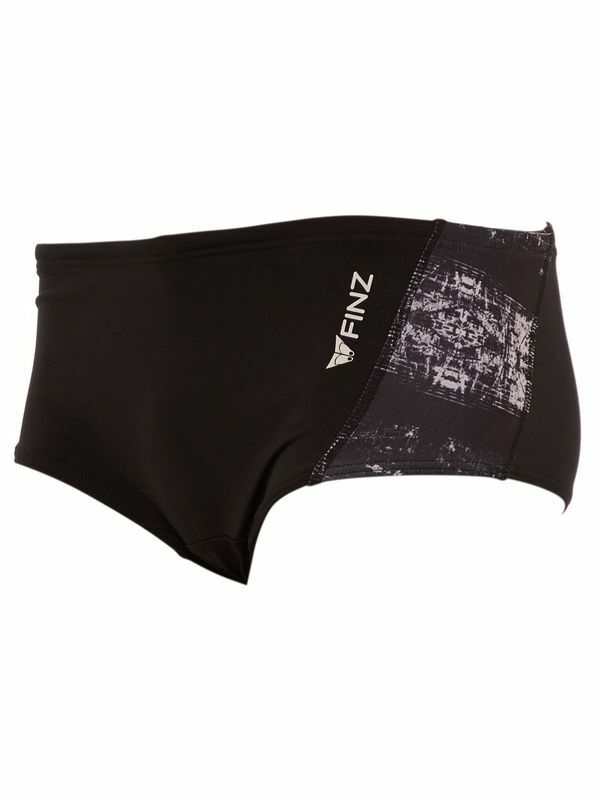 You’ll nearly black out at how fast you can fly through the water in the Finz Black Out Men’s Grunge Racer Trunk! Made with fab Finz Aquashield fabric, you have never worn such comfortable and sleek trunks. Thanks to their second skin fit, this is exactly what you need to take your game to the next level.